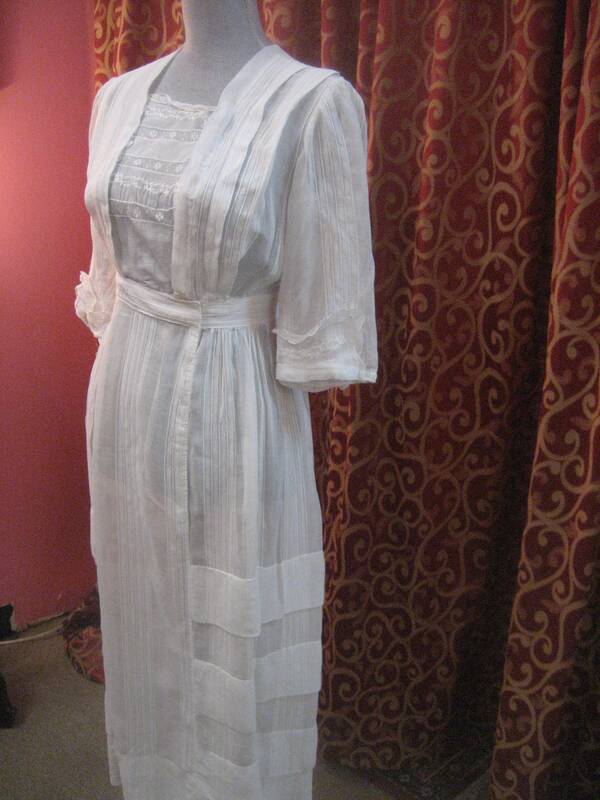 1915, 34" bust, white cotton voile day dress with "middy" style top, full length dress with lace and cotton bodice insert. 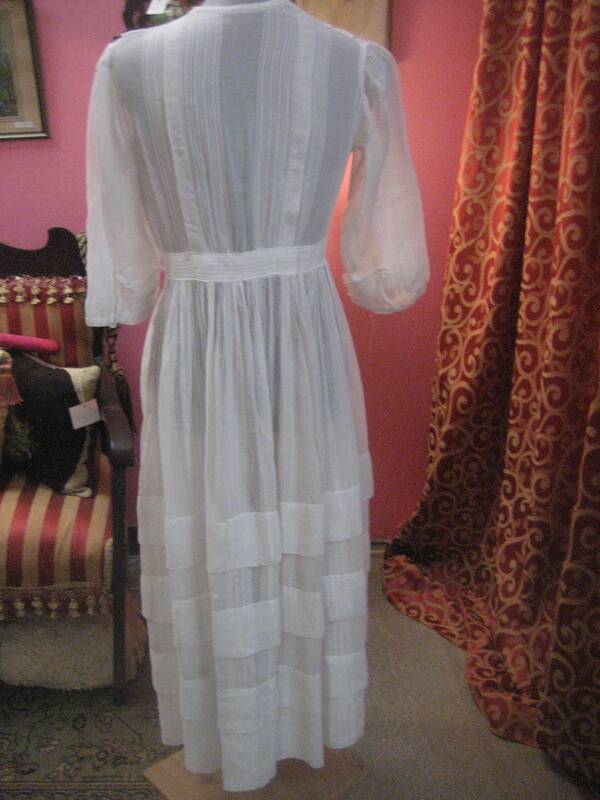 Sleeves are 3/4 length with upturned lace cuffs. 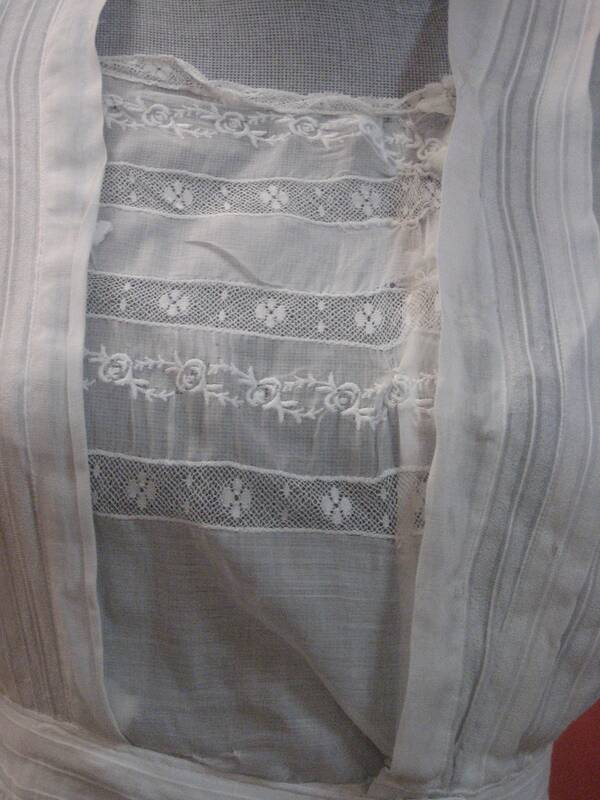 Skirt of dress is long and semi full, with narrow raised lines and deep hem. 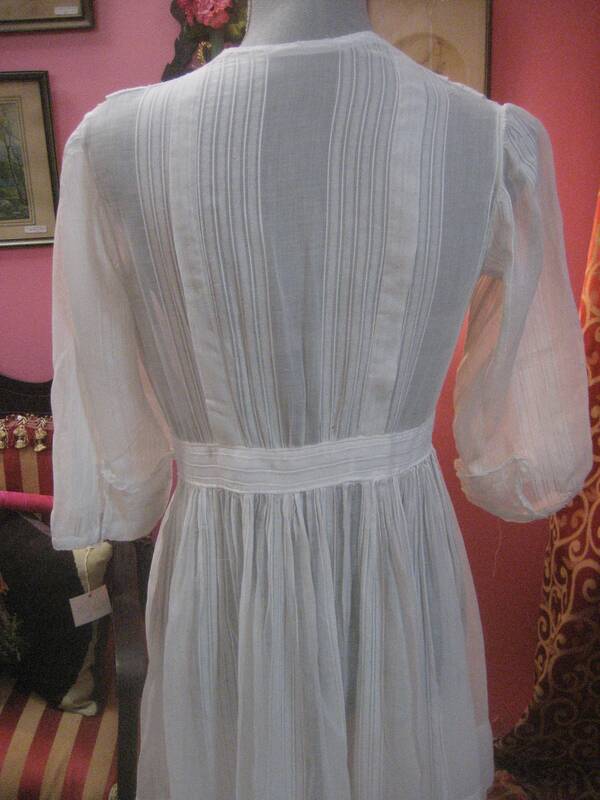 Dress is fastened with hooks and eyes down front of bodice, and snaps fasteners along waist, and down left thigh.